Monterey Park, CA: Evergreen Publishing, 1989. Book. Very Good. Soft cover. Revised Second Edition. Softcover, 249 pages, illustrated. In Chinese, for Chinese immigrants. Law..
San Diego: Harcourt, Brace Book. Very Good. Soft cover. Softcover, 322 pages. A classic account of the clash of cultures in British India at the turn of the century..
NY: Sloane, 1961. Book. Very Good. Hardcover. Hardcover with intact dustjacket, 273 pages, illustrated. Small tear in dustjacket, rear cover slightly bowed, small spots on bottom edge. An account of the author's exploration and adventure in the far reaches of the Canadian Rockies during the 30's and 40's. Condition:. M. Russell Wehr and James A. Richards, Jr.
Reading , MA: Addison Wesley, 1962. Book. Very Good. Cloth. 8vo - over 7¾" - 9¾" tall. 420pp, Illustrated. The cover is somewhat worn, but the text is clean and free of marks or tears..
Baltimore, MD: Williams and Wilkins, 1989. Book. Very Good. Large Softcover. 4to - over 9¾" - 12" tall. 860pp, Illustrated. Emphasis is on conceptual understanding, clinical relevance, and an easy-to-read, engaging presentation of microbiology and immunology. Clinical cases are featured. No tears or marks except former owners name..
Boston: Baker's Plays, 1979. Book. Near Fine. Stapled Paper Cover. 12mo - over 6¾" - 7¾" tall. 34pp, Adapted and translated by Anita Page and Alex Page. Text in English. No marks or tears. A very nice copy..
NY: Dodd, Mead and Co., 1972. Book. Very Good. Cloth. First Edition. 8vo - over 7¾" - 9¾" tall. 278pp, Illustrated with black & white photogrphs. Not an ex-library bood, but is stamped as a discard on the front free endpaper. Black cloth. 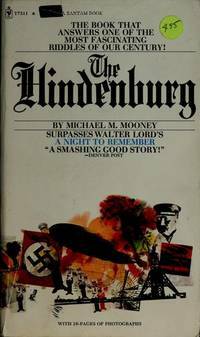 An account of the Hindenburg disaster in May, 1937, in Lakehurst, NJ. No marks or tears..
NY: Simon & Schuster, 1927. Book. Very Good+. Cloth. Signed by Author(s). First Edition. 4to - over 9¾" - 12" tall. 270pp, First Edition, 1927, Number 272 of 300 copies signed by the author, Haldane Macfall. Illustrated with some illustrations tipped in, all present. No marks or tears. Black cloth with gilt spine and cover lettering and designs. No slip case. A nice copy..
NY: Mentor Book. Very Good. Paperback. 22nd Printing. 127pp. Very Good. NY: Vintage, 1983. Book. Good+. Soft cover. Softcover, 429 pages, illustrated, with highlighting thruout. Condition: Good+. Biography.. 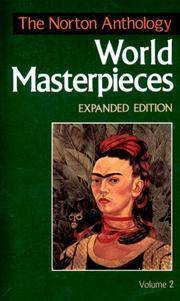 The Norton Anthology of World masterpieces. Expanded Edition. Volume 2. 1650 to Present. NY: W. W. Norton & Co., 1995. Book. Good+. Large Softcover. Expanded Edition. 8vo - over 7¾" - 9¾" tall. 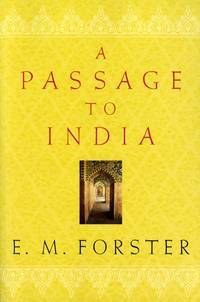 2989pp, 1995, First Edition, Volume 2 only. A large softcover. The only writing is on the title page and the inside front cover. Front cover is creased and slightly curled and the first 10 pages are slightly wrinkled. No tears..
NY: Farrar, Strauss and Giroux, 1980. Book. Very Good+. Soft cover. A reprint of the 1932 reprint of the 1852 edition. 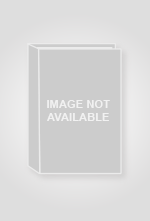 Illustrated softcover, 724pp. Heavy. Very Good+. Murfreesboro, TN: Sword of the Lord Publishers, 1995. Book. Very Good-. Large Softcover. Reprint Edition. 4to - over 9¾" - 12" tall. 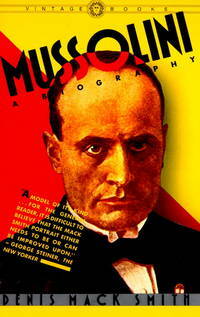 272pp, A reprint of the 1920 edition. A biography of Charles M. Alexander, a song leader for Billy Sunday, Wilbur Chapman, and R. A. Torrey. Former owner's name marked out of first free page. Minor wear to front cover..
Old Greenwich, CT: The Devin-Adair Co., 1978. Book. Very Good+. Hardback. 30th Printing, Revised Edition. 8vo - over 7¾" - 9¾" tall. 737pp, History of Ireland to 1938. Gilt spine lettering. No marks or tears. A very nice copy..
NY: D. Appleton & Co., 1871. Book. Good-. Cloth. 8vo - over 7¾" - 9¾" tall. 344pp. Examples of the religious in the wonders of nature. Red cloth mottled with spots on covers and spine. Cloth of spine torn and worn. Text clean and unmarked. Good-. NY: New York Times Books, 1984. Book. Near Fine. Hardcover. First Edition. 310pp. Near Fine. NY: The Seabury Press, 1978. Book. Very Good. Cloth. 8vo - over 7¾" - 9¾" tall. 131pp, A discussion of the theme of hope in the Christian religion. No marks or tears..
London, UK: The Medici Society Limited, 1923. Book. Very Good. Hardback with Pictorial Cover. First Edition. 8vo - over 7¾" - 9¾" tall. 46pp, Illustrated with 11 color plates of art of the 16th and 17th centuries depicting children's clothes. The front cover is illustrated with a plate pasted down. There are no marks or tears. There are a few light scratches on the covers and the covers are somewhat darkened from age..
NY: Dover, 1975. Book. Near Fine. Soft cover. 178pp. Recreational aspects of serious mathematics. Near Fine.